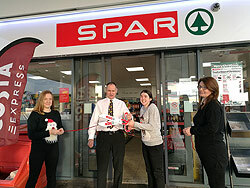 SPAR Scotland celebrated the opening of their newest SPAR store in Montrose, with a spectacular opening day held on 20th December. 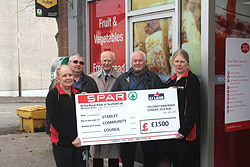 SPAR Kirriemuir have recently donated a generous £500 ANGUSalive's Gateway to the Glens Museum. The money was raised through the sale of single use carrier bags that now cost customers 5p. 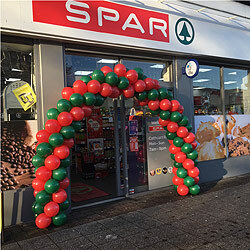 SPAR Govanhill recently held a relaunch for the store; customers in the local area were invited to attend the event held at the store last week. 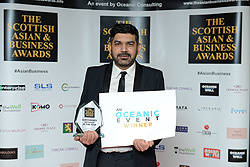 The twelfth annual Scottish Asian Business Awards 2017 was recently held in the Crowne Plaza Hotel in Glasgow, there was a great turnout with 400 guests attending the event to celebrate the Scottish Asian business community. 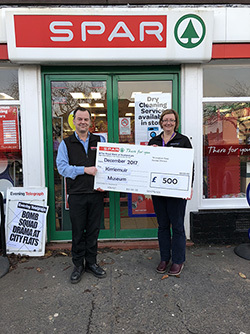 SPAR Meigle has recently donated a Christmas tree, 100 selection boxes and provided refreshments for the community of Meigle for their annual Christmas Light Switch on. 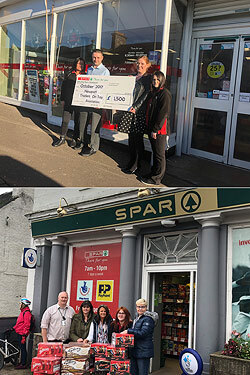 SPAR Carnoustie High Street and SPAR Barry Road owned and operated by CJ Lang and Son Limited have recently clubbed together to donate 350 selection boxes for the Carnoustie Christmas Light Street Festival. SPAR Stanley is proud and pleased to announce the recent installation of an Automated External Defibrillator at the store. SPAR Scotland stores, owned and operated by CJ Lang and Son Limited continue to support their local charities across Fife! 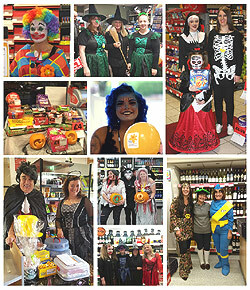 Recently SPAR stores across Scotland celebrated Halloween with spooky instore displays, Halloween themed competitions for customers and members of staff dressing up in their best costumes to raise funds for the SPAR National charity Marie Curie.